NEWTON, NJ – Sussex County Prosecutor Francis A. Koch and Newton Police Chief Michael S. Richards announce the arrest of Jason R. Miller, age 37 of Hampton Twp., a Patrolman employed by the Newton Police Department, for crimes committed while in the performance of his duties as a Police Officer. Miller has been employed as a Police Officer since July 23, 2001. He turned himself in at the County Prosecutor’s Office this afternoon and is indefinitely suspended without pay pending the outcome of the criminal case. Hon. Judge Thomas Critchley authorized complaint warrants charging Miller with the above listed offenses and set bail at $35,000 with 10% option and a condition of bail that he has to surrender all firearms he owns. He posted bail. The success of the investigation is due in large part to the willingness of witnesses to come forth despite feelings that there could be potential retaliation, along with the Newton Police Department having systems in place to encourage community engagement as well as maintaining a culture of accountability and responsiveness to the public. An anonymous tip was sent to the Newton Police Department on Thursday 10/23/14 at 7:30 pm reporting an allegation of misconduct. The department immediately responded that evening requesting further information which was in turn provided in another anonymous message sent on Friday 10/24/2014 at about 5 pm. Based on the information provided, an immediate investigation ensued which prompted notification to the Sussex County Prosecutor’s Office on Monday 10/27/14. The matter received the full attention of the highest ranks within the Police Department and the Prosecutor’s Office. Further review of patrol car video recordings and interviews led to the immediate suspension of Jason Miller on Tuesday 10/28/2014 at about 12 pm. Community trust is vital to effective law enforcement. As such, the specific details of the investigation are being included in the affidavit of probable cause. Similarly, by releasing this information, we hope to identify and interview anyone else who may have experienced a similar encounter or who has any information regarding these allegations. Anyone with related information is asked to contact the Sussex County Prosecutor’s Office at (973)383-1570. 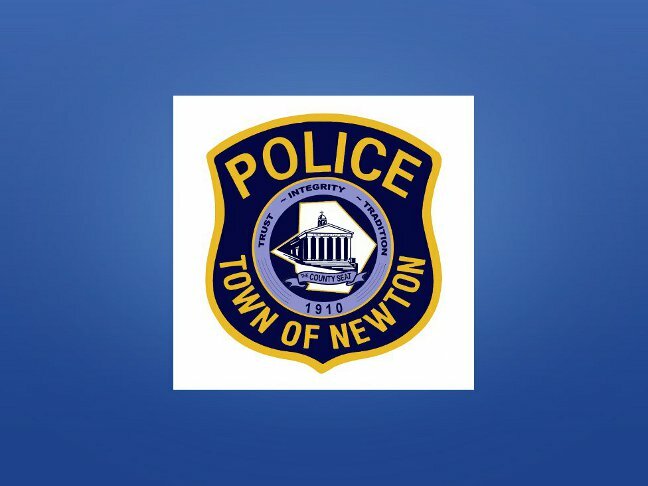 The investigation has not revealed any indications that the criminal activity perpetrated by Jason Miller was known to any other members of Newton Police Department or that any other members are involved in any similar misconduct. The allegations against Jason Miller represent a grave abuse of authority for which there is absolutely zero tolerance.